RMGT was one of more than 450 exhibitors at a show that drew more than 20,000 people through the doors. In the RMGT, Commit to Print booth, visitors saw the only offset press running live at the show. Again the RMGT 9 Series Press continued to fill the booth and isle ways with spectators hungry to learn more about offset and LED-UV advancement. 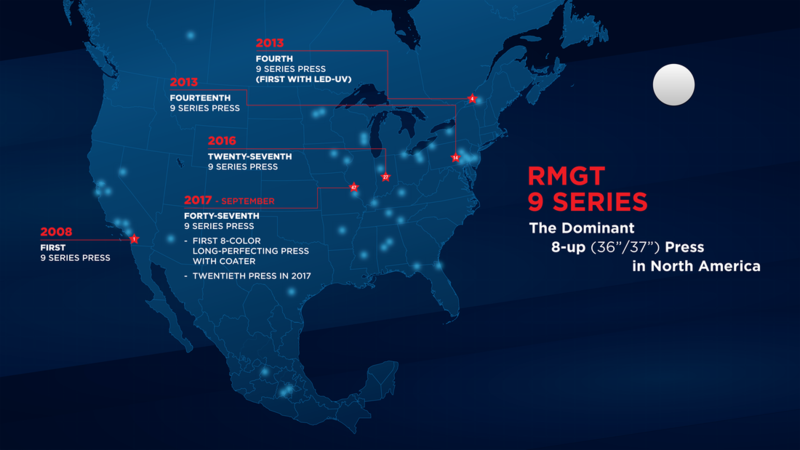 Did you miss our presentation of the RMGT 9 Series press?